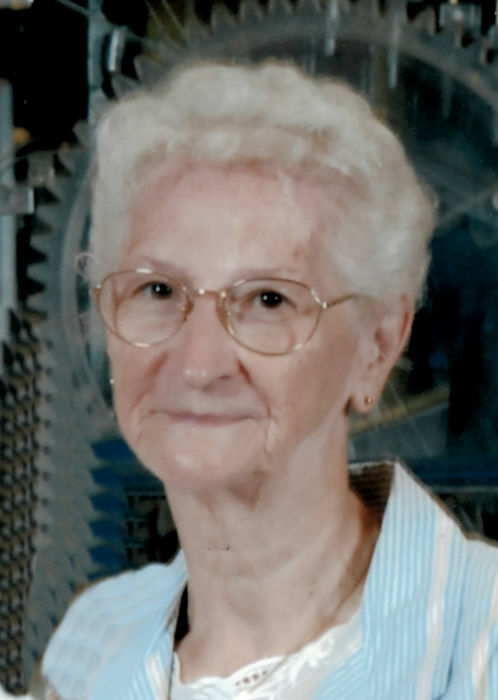 Mae L. Bone, nee Gardner, age 89, of Caseyville, IL, died on Monday, October 22, 2018 at Caseyville Nursing and Rehab Center, Caseyville, IL. Mae was a member of St. Stephen Catholic Church, Caseyville, IL. She worked as a clerk for Graham Paper Company. Mae is preceded in death by her husband, Jerome B. Bone; an infant son, William Boyd Bone; her parents, William and Josephine, nee Pruitt, Gardner; three sisters, Norma Hoffman, Frances Brooks and Betty Willings; and three brothers, Joe, Clarence and Ted Gardner; son in laws, Virgil Stogner, Tom Feinberg; grandchild, Hannah Feinberg. Mae is survived by her children, Jo Stogner of Caseyville, IL, Jerry J. (Sheila) Bone of Belleville, IL, Vicky (Greg) Grady of Caseyville, IL, and Cindy Feinberg of Chesapeake, VA; 10 grandchildren; 11 great-grandchildren; and her sisters and brothers, Carol (Roy) Bellville, Jackie Hinkle, Bernie Gardner and Barb Gardner. Visitation will be held on Friday, October 26, 2016 from 10:00 am to 11:00 am at St. Stephen Catholic Church, Caseyville, IL. A Memorial Mass will be held on Friday, October 26, 2018 at 11:00 am at St. Stephen Catholic Church, Caseyville, IL. Burial of cremated remains will be at Jefferson Barracks National Cemetery, St. Louis, MO.